"Topographic map of Muscatine & Louisa Counties 1902 by Iowa State Atla"
Topographic map of Muscatine & Louisa Counties 1902 by Iowa State Atlas Pub'l. 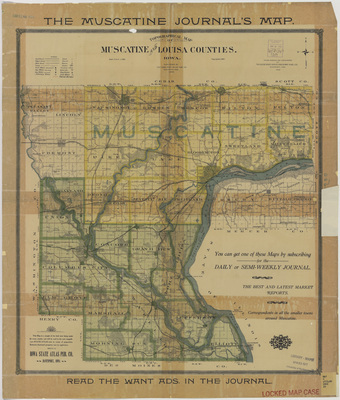 Co.
"Topographic map of Muscatine & Louisa Counties 1902 by Iowa State Atlas Pub'l. Co." (2019). Rod Library Maps. 366.